Manny Pacquiao celebrates his comprehensive win in Macau. MACAU: Manny Pacquiao has pledged to visit the areas of the Philippines worst hit by Typhoon Haiyan in the next few days following his successful ring return. The World Boxing Organisation (WBO) International welterweight title clash on Sunday was broadcast in four public areas in Tacloban to lift the spirits of residents who suffered the brunt of the super storm's fury. And congressman Pacquiao declared, after his comprehensive 12-round victory over Brandon Rios in Macau, that his priority was to visit the devastated city. "I think it's time. I promised them after the fight I will go into Tacloban to visit them," he said. Pacquiao added his camp were still working out details for him to travel to the capital of Leyte province, but he would be there in a matter of days. "As soon as possible we will finalise what day, what date," he said. The super typhoon has left almost 7,000 dead and missing after its rampage through the central Philippines earlier this month. At the time Pacquiao was in training camp in General Santos City further south, which escaped the brunt of the typhoon, and had to be talked out of leaving to help with the relief effort by his trainer Freddie Roach. "It was very difficult for me, I felt so bad for what happened to everybody in the Visayas (central) area," Pacquiao told a post-fight press conference on Sunday. "It was the middle of my heaviest training in camp and I wanted to visit but I couldn't. "So I was just praying for them and sent my staff in congress and also my people in General Santos to bring them help and relief goods. "This fight was for the families and the people affected by the typhoon -- I am just happy that God answered my prayer." For a brief moment in the devastated city of Tacloban, those who lost their homes, their livelihoods and loved ones in the storm were able to forget their misery as they watched a free, live broadcast of Pacquiao's stunning win. "This is not about my comeback," Pacquiao said immediately after the fight. "This is about my people's comeback from a natural disaster and a natural tragedy. "To all the people and the families affected by the typhoon, I will see you there. I love you so much," he added. Mario Penaflor, 41, was among the crowds in watching in Tacloban. "This is a win for all Filipinos. It will surely uplift our spirits, especially the victims of typhoon," he said. fight he dedicated to victims of Super Typhoon Yolanda/Haiyan. TACLOBAN CITY, Philippines — Filipinos at temporary shelters in typhoon-ravaged central Philippines erupted in jubilation after boxing hero Manny Pacquiao thumped American Brandon Rios to clinch the WBO welterweight crown in Macau on Sunday. 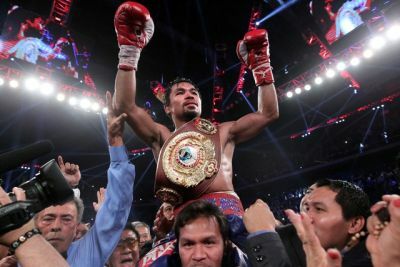 Displaced families, aid workers and soldiers jumped from their seats and broke into thunderous applause as Pacquiao, the only boxer to win world titles in eight weight divisions, comprehensively beat his younger and taller opponent. “I am so very, very happy. Manny gave us something to cheer about in these times of despair,” Sonia Reyes, 35, whose house was severely damaged by the surge brought by typhoon Haiyan two weeks ago, told Reuters. “Manny’s victory is an inspiration for us to get back on our feet again. Like our ‘national fist’, Tacloban City will rise again,” she added, referring to Pacquiao’s local moniker. Typhoon Haiyan, the most powerful storm to make landfall this year, struck the central Philippines on Nov. 8, killing more than 5,200 people, displacing 4.4 million and destroying an estimated 12 billion pesos ($274 million) worth of crops and infrastructure. Communications Secretary Herminio Coloma issued a statement congratulating Pacquiao for winning another title, saying “the victory will serve as a fountain spring of strength and inspiration for the country after the typhoon devastation”. treats the first visitor to the team's medical camp in Tacloban City on sunday. TACLOBAN CITY, Philippines — "One, two, three ..." Six of the 30 Chinese rescuers lifted supporting pillars and took only half an hour to build a medical-camp tent in the front courtyard of Tacloban City Hall. The Red Cross Society of China's international medical team started to assemble their first medical camp on Sunday in the devastated coastal Philippine city of Tacloban, and the city is showing signs of life after the wreckage inflicted by Typhoon Haiyan. Scanners, medicine and surgical equipment were soon put in place with a clear layout design in the tent. "This is the first medical rescue operation overseas of the Red Cross Society of China in the past 90 years. The medical center here is concentrating on trauma injuries, pregnant women and children," said Peng Bibo, medical director of the Chinese team. The first visitor to the camp was Keith Villamor, a 20-year-old employee of Robinsons Department Store who suffered a severe infection in a toe. The local capacity now is still "far from meeting the demand" of residents, Villamor said, thanking the team for treating his toe. "I hope more help comes from countries like China," he added. The Chinese naval medical ship, the Peace Ark, arrived in the area, which has sanitation problems, a lack of water and power supply, and many homeless residents. "China may not have been there on the first day (after the typhoon), ... but it is fast gearing up its own massive outpouring of medical aid and relief to the victims," the local leading newspaper, The Philippine Star, said on Sunday. The newspaper said China's medical aid to the disaster area has been "properly handled", and the interaction between team members and local people will "help smooth out the troubled relations between the two countries". Other major local media, including Panay News, GMA Television and the Inquirer newspaper, also reported on China's increasing aid to the Philippines. Local residents have also begun to clean the beaches and muddy streets here to make sure the city is rebuilt as soon as possible and prevent further sanitation threats from polluted water, garbage and undiscovered bodies. Some of the cleaners are volunteers. Renie Yodico, a 29-year-old villager, came to the seaside avenue along with his fellow villagers, taking their own shovels and dustpans to clean up the dusty tracks and lawns. "We live in a village just 5 kilometers away from the city and we are here by ourselves, not organized by the government. We believe hygiene is a problem here," he said. Seeking a shelter for the refugees is another top priority for local authorities to ensure public health, especially for those who lost their houses. Gloria E. Fabrigas, a city government medical officer, said, "There are not enough permanent houses (for the homeless), so there are mosquitoes and cases of diarrhea." Of the two largest evacuation centers in the city, the Tacloban City Astrodome now accommodates 337 families, and the Rizal Central School, 354 families. Both are estimated to have more than 1,500 people. 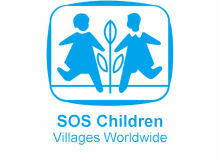 "We appreciate the help from the Chinese people, and we need more food and tents," Yodico, the villager, said. Sun Shuopeng, head of the Chinese team, said the medical treatment focus has shifted from surgery for trauma to "prevention of epidemic outbreaks", and the Chinese team's goal is to visit densely populated areas to distribute medicine. Local branches of Chinese firms and non-governmental organizations also offered relief aid to disaster-stricken areas, including money and food donations, and help restoring communications and power systems. According to the Chinese embassy in the Philippines, Chinese international telecoms firm Huawei sent a team of experts and more than a dozen engineers to Tacloban. The China National Grid also donated $100,000 for disaster victims and helped restore local power systems. The local office of China's mining company, Yinyi, opened its storage of food, water and other supplies to the victims and raised $5,702 worth of cash, food, medicine and clothes. 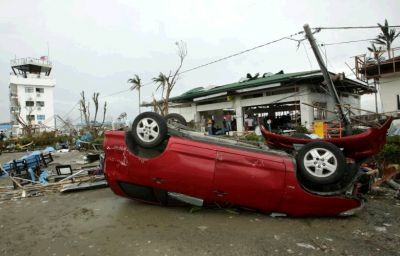 TACLOBAN CITY, Philippines — Grizzled radio reporter Byron C. Bugtas swivels his head from side to side as he rides through the streets of this typhoon-shredded city, looking for snippets of news to relay to anchorman Tony Pueblos. “Shall we stop to buy some?” he asks a passenger, scratching his unshaven cheek. Tacloban isn’t the easiest place to launch a radio station. The city of 220,000 people perched on the edge of the Pacific Ocean is still without power and many other services more than two weeks after the worst storm in 100 years barreled through the islands of the central Philippines, killing more than 5,000 people and making 4 million more homeless. Rescue workers still pull up dead bodies out of the slowly-rotting debris piled up along its busy beach-front. But a motley news team of radio reporters from other typhoon-hit towns are regrouping here to run a citywide radio network with the help of the Philippines’ national broadcasting service and an aerial lashed to some railings at the town’s ruined sports stadium. They came to Tacloban because it was home to evacuation centers and they wanted to help. Despite the chaos, 52-year-old station manager and occasional anchor Tony Pueblos remains calm, his colleagues say. While technicians scramble to maintain the voltage used to feed the transmitter at Radyo ng Bayan, or The Nation’s Radio, Mr. Pueblos, is thinking up new ways for the station to pass out as much information as possible in between tracks from his favorite Beatles albums: Abbey Road and Let It Be. “We were up and running around a week after typhoon struck, but now we are focusing our efforts on helping the reconstruction efforts,” Mr. Pueblos said. “We are low tech, but high in determination,” Mr. Bugtas added. The radio station specializes in spreading the word on specific projects in Tacloban to help city residents, rather than reporting what’s going on in Manila or elsewhere, like most other media outlets. When a Taiwanese charity offered 500 pesos or around $12 a day for volunteers to clear up some storm-hit neighborhoods, Nation’s Radio was among the first to report the opportunity. After residents began dropping in at the station’s spartan, tarpaulin-draped headquarters asking them to read out the names of missing relatives, the anchors quickly obliged. The news anchors talk about issues such as where to find tools: a mundane matter for some Filipinos, but a hot topic among residents planning to rebuild their homes. Radio has long had a special significance in the Philippines. When late dictator Ferdinand Marcos ordered the army to crush an attempted coup in 1986, it was Manila’s Catholic Archbishop Cardinal Jaime Sin who intervened by taking to the Church’s radio station and urging Filipinos to take to the streets to defend the rebels. A few days later, Marcos was gone. Today, top television newscasters are careful to retain morning radio shows despite the spread of TV signals and, more recently, the explosive growth of mobile Internet services—the Philippines has a higher web-use rate than neighbors such as Indonesia or Thailand. Some of radio’s biggest names have used their cachet on the airwaves to launch political careers. Noli de Castro has one of the country’s most distinctive voices, a barking tenor. He successfully ran for a position in the Senate and subsequently was elected vice president before returning to the media. Other radio personalities who made the shift include Senator Loren Legarda and political strategist Ricardo “Dong” Puno, who made the most of their high name-visibility in rural areas where radio signals are still sometimes easier to receive than television or Internet signals. In Tacloban, there are bureaus of other media operations, notably a regional office for broadcaster ABS-CBN, but all 15 stations were knocked off the air by the storm. While a small temporary emergency radio information service called First Responders Radio was established immediately after the storm, Radyo ng Bayan is the first to go beyond basic announcements to full radio show mode. Now the Nation’s Radio news team is beginning to make a name for itself, albeit in the short, 8-kilometer distance that encompasses most of the city from the provincial government building to the airport. At the Astrodome, a convention center turned evacuation camp, Joseph Reyes and his friends are listening to the station on a scuffed, battery-powered radio. They lean in closer while Mr. Bugtas reports on plans to show Filipino boxer Manny Pacquiao’s bout on a projector screen. “These people are doing good. 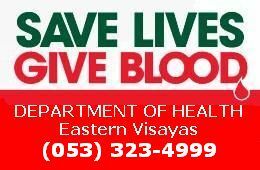 They have many updates on useful things,” said Mr. Reyes, 56 years old. Key members of the radio station’s news team include Bobby Alcantara, who has his own segment providing news bulletins in a number of local dialects. A new arrival is Georgina Seminiano from Manila. Her role is to talk with survivors in evacuation camps and gather names of missing people to broadcast on air. “It’s difficult. I don’t like to cry like this,” Ms. Seminiano said after one encounter at the Astrodome. Then there is the voluble Mr. Bugtas. As he roves among the debris and tarpaulins, he talks about everything from the latest consumer goods on sale on neighborhood street corners to where the next batch of relief goods will be distributed. No subject seems too small, including the strength and the slant of the rain during cloudbursts—an important topic in a town where many people are living without shelter. “It’s really coming down now; get some shelter while you still can,” he reported during one recent sortie. Mr. Bugtas says this shared experience helps them stay attuned to the problems faced by storm survivors. After finding 24-year-old Marissa Moro scavenging for construction materials at the side of the road at a cemetery just outside Tacloban, they discover she has lost her husband and is living in the open with her mother and 7-year-old son. Mr. Alcantara helps her to pick out large pieces of plywood and plasterboard, and advises that it might be better to move to one of the growing numbers of relief camps. Along the way road home, they see fresh bodies placed by the side of the road for collection and Ms. Seminiano reports on meeting Eva Postre, who is looking for her 27-year-old son Joven Postre, missing since the night of the storm on Nov. 8. In the studio, Mr. Pueblos puts on another Beatles track, “Let It Be.” In the car, the reporters sing along quietly. 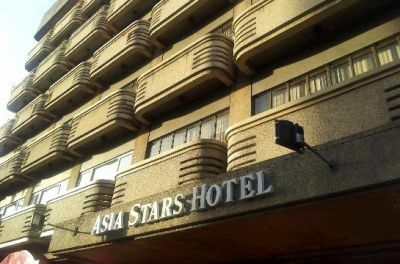 at the Asia Stars Hotel in Tacloban City. TACLOBAN CITY, Philippines — It was November 10, just two days after Typhoon Yolanda (Haiyan) devastated Tacloban City and the rest of Leyte province, and relief had not reached the surviving residents. Local officials and businesmen discussed their urgent needs with Aquino, recalling one instance when Uy was fired at by looters in downtown Tacloban. 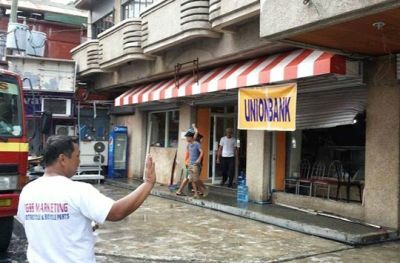 UnionBank is set to resume its operations in Tacloban City. TACLOBAN CITY, Philippines — Almost two weeks after super typhoon Yolanda devastated Tacloban City, more and more signs of an improving economy are emerging in some of the hardest-hit areas. Tacloban City Administrator Tecson Lim said that the number of passengers taking both commercial and non-commercial flights out of Tacloban is slowly decreasing, while the number of passengers flying into Tacloban remains high, which is seen as a positive sign for Tacloban's economy. At least eight commercial banks have resumed operations as of November 20, 2013. However, banking operations remain mostly over the counter transactions, and the banks operate only from 9 am to midday. Only Land Bank of the Philippines is presently offering automated teller machine (ATM) service. Five of the 26 gas stations in Tacloban City have become operational, so far, as many of the gas stations had suffered structural damage during the typhoon. Three oil companies, Chevron, Shell, and Petron assured Taclobanons that there will be sufficient supplies of fuel. Businessmen have also expressed interest in re-opening their establishments, but since public transportation remains not quite up to normal, hampering the mobility of employees, establishment operators and the local government are exploring options on how more workers can get to and from their workplaces. Security remains a big concern among people and businesses in Tacloban. The city government is urging establishments to hire security guards for the meantime, as police and members of the military cannot be made to secure their businesses. What the government can offer as a compromise is to schedule the posting or designation of cops or soldiers near commercial areas. The curfew, which remains in effect from 8 am to 5 pm, is being imposed because many streets are still littered with debris in the wake of the monster storm, posing potential hazards especially after nightfall. unit, whose structures and facilities, if any, had been totally washed out. I flew to Cebu on Tuesday to address the 37th Annual Convention of the Philippine Association of Religious Treasurers on Wednesday morning, an invitation I had accepted before the 7.2 earthquake hit the city and Bohol, before super-typhoon Yolanda totaled Tacloban next door. Cebu appears to have bounced back from the worst effects of the earthquake, but everyone spoke of the death, destruction, hunger and suffering that have descended upon Tacloban. 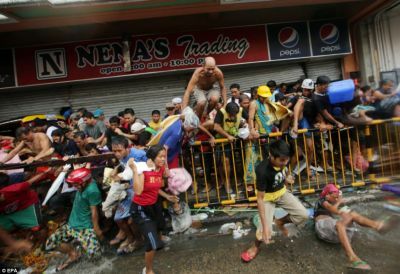 Many Leytenos have taken refuge in Cebu, and people trying to bring help from Manila were using Cebu as a transit point. On Wednesday afternoon, at Mactan international airport, I listened to their stories, which confirmed everything we have seen and heard on BBC and CNN. “Where is PNoy in all this?” asked the woman, with all the passion of her gender. “The government has taught us to steal even though we hate them for stealing the pork barrel,” grieved a young teenager, obviously a native of Leyte, and referring to the looting of shops for food in Tacloban. All this hit me like a ton of bricks even as I sat on the plane. I thought I had heard the worst from that airport conversation. But no, as soon as I got home I tried to update to myself on what Cooper had reported earlier on CNN, and on President B. S. Aquino III’s interview with the veteran CNN interviewer Christiane Amanpour. Cooper’s report showed all the images to back up his tweet. “Simply there isn’t enough aid and what aid there is isn’t getting out to those who need it the most,” he said. “There’s very little organization in terms of the Philippine side. That’s the frustrating thing for the people here,” he added. Of course, Anderson’s tweet was instantaneously trashed on one TV station. Amanpour’s interview defied description. I thought my vocabulary was wide enough to allow me to describe the interview with adequate precision, but no, I couldn’t. I could not find the right word for it. Unreal, surreal was simply not good enough, there must be another word for it. Amanpour’s long experience in covering wars, rebellions, disasters had not sufficiently hardened her to be able to suppress her emotion in describing the humanitarian ordeal, but Aquino looked completely detached, uninvolved, unfeeling, unaffected by the incredible human tragedy that has covered the world with grief and pain. This was not just a terrible misreading of the sentiment on the ground but a pure and simple lie. The Aquino government remains paralyzed, period. Instead of admitting and assuming responsibility, Aquino tried to pass it on to the local government unit, whose structures and facilities, if any, had been totally washed out. “We are now trying to fast-track the situation where the national government takes over this local government function,” Aquino said. 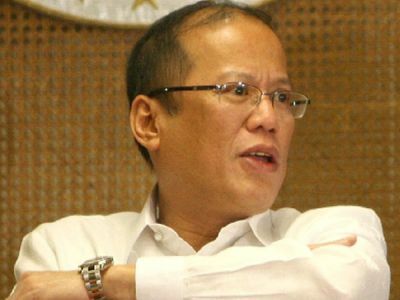 A long week has passed, and Aquino is still “trying to fast-track” the appropriate response? The survivors are looking up to heaven, the dead are piling up, and the death toll has been estimated at as much as 10, 000, said Amanpour. What could Aquino say to that? “About 2,500 is the number we are working on as far as deaths are concerned,” Aquino said, as though he was talking of cattle or bangus fingerlings. A more sensitive president would probably have said, one death is one too many even in the worst tragedy, and he was hoping and praying the death toll could be kept as low as possible. But he showed no sign he was talking of human lives, not mere statistics, cattle or fingerlings. The truth is none of those other areas were hit as badly as Leyte and Samar. I was waiting for Amanpour to say: “You’re truly for the birds, Mr. President.” But she was extremely courteous to the very end, and ended the interview before it became cruel and unusual punishment to the viewer. After listening to the interview, I felt I had to apologize to the religious congregations that had heard me earlier in Cebu. At the request of Sister Maria Lirio Gavan, SPC, chairperson of the convention, I had spoken about “Our Hope for a Better Philippines.” I had tried to give an extensive lecture, but failed to mention one important point. 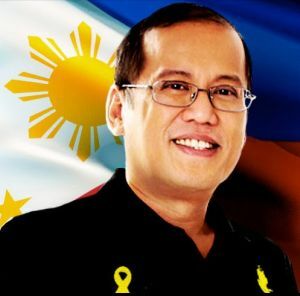 I am now convinced that Aquino’s immediate departure from the presidency is a conditio sine qua non for the country’s recovery from the recent disasters, and for the building of a much better Philippines. but not my own family." 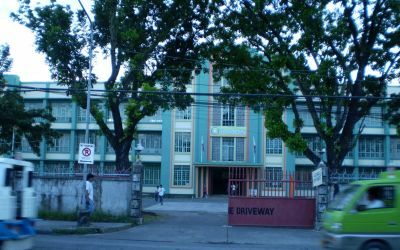 before it reopened 2007 to Grade 1 pupils and First Year High School students. With a wounded foot, William Kent Bendoy limped through flood waters and debris-strewn streets for seven hours. The place had become unfamiliar. He could hardly find the way to Barangay San Joaquin in Palo town. When Typhoon Yolanda struck on the morning of Nov. 8, the 26-year-old security guard was looking after a school in downtown Tacloban City. He helped save the administrators and teachers of El Verbo Divino, a Catholic school, when the water brought about by a storm surge rose toward the ceiling of the ground floor. Powerful winds ripped an antique door into pieces. One piece landed on his right foot. He could not leave to check on his family in San Joaquin until 11 a.m., when the water started to subside. It was dark when he reached San Joaquin, a coastal barangay located some 14 kms. from Tacloban. Their house was gone. He found his live-in partner, wet and bleeding, and younger sister taking shelter in a neighbor’s house. He saw his two other younger sisters a few meters from their house, lying among the debris, lifeless. His one-year-old child was nowhere to be found. So was his 51-year-old mother. Inside a gymnasium in Barangay Banilad, Mandaue City, almost two weeks after the catastrophe, Bendoy recalled the horror of typhoon Yolanda in a calm voice. He stopped when he talked about Matthew Jones, his son, and looked straight ahead, his face expressionless. “I always kissed him before I go to work every day,” he recalled in Tagalog. The boy celebrated his first birthday five months ago. He had learned to say a few words, Bendoy said. He had learned to kiss his parents’ hands. Bendoy believes his son and mother were swept away into the sea. At the height of the typhoon, big waves from the sea reached their house. “The waves got bigger and bigger,” Bendoy said. The strong current peeled Matthew Jones off his mother’s arms. Almost two weeks after the typhoon, Bendoy still couldn’t shake off feelings of guilt. He reported for work the night before the typhoon. In the morning, he kept watch over the water as it rose. He and his two fellow guards brought more than 20 school employees, including two nuns and a priest, and their families to the second floor. Security guards must never abandon their post, he said. He had never abandoned his duty in his two years of working as a security guard. The devastation caused by Typhoon Yolanda/Haiyan in Tacloban City. MANILA, Philippines - A renowned urban planner on Wednesday told the national government that it should transform Tacloban City into a global center for climate change. "I have recommended to make Tacloban City as global center for climate change because I think Tacloban City is the first victim of climate change not being addressed effectively," Architect Jun Palafox said on Wednesday during the media forum in San Juan City. Palafox said that rebuilding Tacloban City, which was literally flattened by super typhoon Yolanda, should be carefully studied to prevent similar devastation and loss of countless of lives. "We have to take lessons from the mistakes and best pratices elsewhere in the world we can appropriately implement like one siguro we have to collect data na how high was the storm surge. Maybe we may have to locate the new city in a higher ground," Palafox said. He also proposed to the national government to look into allocating at least 30 hectares of land that could house three evacuation centers. "Maybe we can start with the evacuation centers. If they have 300,000 people, they should have maybe at least three evacuation centers na 10 hectares each. Because international standards, there should be one square meter of evacuation area for every resident," Palafox said. He also cited that every evacuation area should be fitted with six facilities required by the land use policy--an emergency clinic, a water station, a food station, an emergency shelter, emergency telecommunication center, and emergency helipad. "I have been saying this for so many years administration by administration," Palafox said. Palafox, meanwhile, said he could not yet give a ballpark figure of how much the government would need to spend to remodel Tacloban City. "I cannot give big estimate until we have finished the assessment cost of reconstructing," he said. RISING FROM THE DEBRIS – Most of the Visayan provinces were destroyed by supertyphoon Yolanda and the hope is all of them will recover, rise from the debris. But how come Tacloban is the center of attention by media – radio-TV and print, including CNN and BBC? Well, because Tacloban is the hub of Leyte and Samar, the melting pot, the center of commerce, education, entertainment, and culture. What happens to Tacloban affects the lives of all Warays. And so it’s a must Tacloban shall not die, in a manner of speaking. That it should be the first to stand up – proud and mighty. CHALLENGE – That is the challenge that faces the people of tacloban, its officials led by Mayor Alfred Romualdez and his first lady, Councilor Kring Gonzalez-Romualdez. Kring, who met with friends from the entertainment press, is hopeful, confident that Taclobanons are equal to the challenge. In time – later than sooner – Tacloban will even be a better city, more progressive and beautiful. Before supertyphoon Yolanda, Tacloban was an ideal place – clean and green, peaceful, progressive, alive – thanks to Mayor Alfred and King and other officials. Plus civic-spirited citizens. Kring flew to Manila to accompany daughters Sophia, 14, and Diana, 10, who, along with their mother, nearly drowned at the height of the supertyphoon, storm surge demolishing their home. When the water receded, they managed to slide down from the ceiling where they clang for dear life. 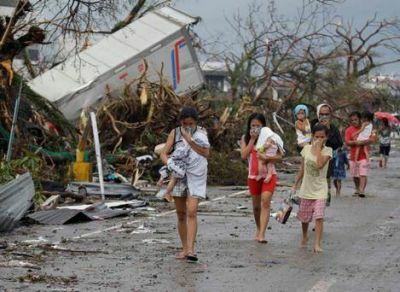 They – including household staff – walked to downtown Tacloban, the streets lined with rubbish and even dead bodies. In another part of the city, Alfred himself nearly drowned and had to escape the storm surge by boring a hole in the roof of the house where he and his staff were trapped. All along, Alfred feared his family drowned. He had no way of knowing their fate as communication was zero. Then from a distance, Kring said, she saw Alfred. It was a tearful reunion – never before had they hugged each other tightly. as he talks about the current situation in Tacloban City. MANILA, Philippines — Interior Secretary Manuel Roxas II has asked Tacloban City Mayor Alfred Romualdez to write a letter to President Benigno Aquino III to inform him that he can no longer function as mayor and he is surrendering authority to the DILG chief, Romualdez’ lawyer said. Alex Avisado, counsel for Romualdez, said Roxas even wanted the Tacloban City Council to pass a resolution stating that the mayor can no longer function and surrendering authority to Roxas. “He wants the City Council of Tacloban also to pass a resolution to the same effect, but no one wants to do it. Only one member of the council came when they were called,” Avisado said. Tacloban was among the provinces in the Visayas to bear the brunt of typhoon Yolanda (international name: Haiyan). Its mayor belongs to the clan of former First Lady Imelda Romualdez-Marco whose husband has been accused of masterminding the death of Aquino’s father. But Avisado said while the national government called for a “response overkill” on the rescue and relief operations two days after Yolanda, Romualdez requested the NDRRMC (National Disaster and Risk Reduction and Management Council) on the rescue and relief operations. “On Day 2 of Typhoon Yolanda aftermath, the mayor requested the NDRRMC to deploy two Marine battalions to help immediately establish peace and order and rescue/relief operations. Unfortunately, this plea for help was unheeded by the national government.” After a week, the government instead sent Bureau of Fire Protection and MMDA personnel. He said, the mayor also requested for additional members of the police because only 25 out of 280 police returned for work but the request was also unheeded. Avisado added that the mayor also requested additional trucks and more for relief and cadaver retrieval but only eight trucks from national government are doing it. TACLOBAN CITY, Philippines — Philippine President Benigno Aquino III visited several areas Sunday devastated by Typhoon Haiyan, which made landfall in the country last week, killing thousands and displacing millions. The Wall Street Journal spoke to Mayor Alfred Romualdez, of hard-hit Tacloban City, about the president’s visit. WSJ: What’s your reaction to the president’s visit? Mr. Romualdez: There are a lot of things that still have to be done. I hope his presence here will help. But as far as I’m seeing now, we really need more people on the ground. There’re too many bodies that have to be retrieved. We’re just concentrating on how we can recover so many bodies. I appreciate the international community helping me, as well as help from local governments from other places. WSJ: What can the president do to help the city and the region? Mr. Romualdez: He should put more soldiers here in order to retrieve many, many dead bodies. [It’s] already been eight days. We don’t have enough manpower to retrieve them. You need people with expertise to retrieve them. WSJ: You still have bodies in Tacloban? Mr. Romualdez: Yes, there are many bodies. We definitely need more help. There are too many bodies. We also need to fast-track distribution of goods to the people. "If I fail I will resign"
to restrore power until christmas. TACLOBAN CITY, Philippines — In one sign of how much work is ahead, Energy Secretary Jericho Petilla pledged to restore power in all typhoon-battered regions by Dec. 24, a job that will require erecting about 160 giant power transmission towers and thousands of electrical posts toppled by the typhoon. He said he will resign if he fails. "It's difficult to celebrate Christmas without light," Petilla said. We will Rise above this!" sends a handwritten note from her hospital bed. MANILA, Philippines — This is the least that Leyte’s most famous daughter, former First Lady Imelda Marcos, could do from her hospital bed, even as her children and nephews were doing their share in relief efforts in the typhoon-ravaged province. Marcos, according to information sent from Laoag City by her eldest daughter’s office, has been “dying to go to Tacloban City” upon learning of its devastation in the aftermath of Super Typhoon Yolanda (international codename: Haiyan). Marcos’ handwritten note was given to members of her family. 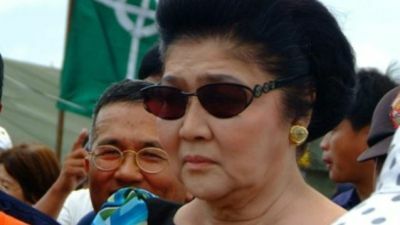 Marcos, who is now congresswoman of her late husband’s province of Ilocos Norte, was also a longtime Leyte representative. who perished during super typhoon Yolanda/Haiyan. TACLOBAN CITY, Philippines — Scores of decaying bodies lay in bags outside Tacloban's ruined city hall Thursday, ready for trucking by overwhelmed Philippine authorities to mass graves, as destitute typhoon survivors pleaded for help of any kind. 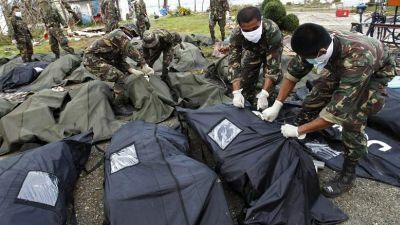 Almost 200 corpses – many of them unidentified – were lined up side by side outside the government building almost a week after one of the most powerful typhoons ever to make landfall smashed through the central Philippines, killing thousands. "The situation is very dire now," said Efren Nagrama, area manager at the civil aviation authority, as he surveyed the filthy stream of humanity at Tacloban's battered airport clamoring to get a flight out. "You see hundreds coming to the compound everyday. People who have walked for days without eating, only to arrive here and be made to wait for hours or days under the elements. "People are pushed to the tipping point – they see relief planes but cannot get to the food nor get a ride out. There is chaos." 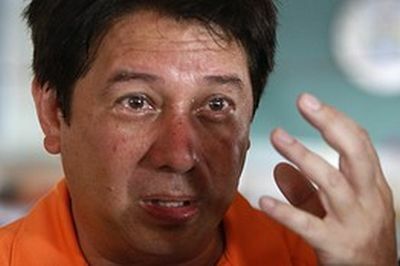 Mayor Romualdez said the people of Tacloban needed an "overwhelming response" from aid organizations and the government. Romualdez said the plan was to start mass burials in the nearby village of Basper Thursday, a day after attempts to lay to rest some of the victims of Super Typhoon Haiyan were abandoned when gunshots halted a convoy traveling towards a communal grave. Romualdez said the bodies lying on the grass outside city hall were waiting for the military to transport them to two burial sites – one for the identified and one for those whose names are not known. The central government blamed the halt in corpse collection on a lack of body bags, but insisted Wednesday that it would accelerate. The World Health Organization has said there were significant injuries that need to be dealt with – open wounds that can easily become infected in the sweltering tropical heat. Experts warn that a reliable supply of clean drinking water is absolutely vital if survivors are not to fall victim to diarrhea, which can lead to dehydration and death, especially in small children. However, hundreds of Philippine soldiers and police continue to patrol Tacloban's streets and man checkpoints to try to prevent pillaging after outbreaks of lawlessness, including gunfire on Wednesday that prevented the first mass burial going ahead. coordinates the loading of palletized with the Philippine Airport for victims. TACLOBAN CITY, Philippines — Soldiers sat atop trucks distributing rice and water on Thursday in this typhoon-devastated city and chainsaw- wielding teams cut debris from blocked roads, small signs that a promised aid effort is beginning to pick up pace even as thousands flocked the airport, desperate to leave. "My family has nothing to eat, and we have no place to stay," said Sgt. William Escala. We cannot bear the stench. The kids are getting sick." AP writers Chris Brummitt and Teresa Cerojano in Manila contributed to this report. Residents take shelter in a church in Tacloban City. TACLOBAN, Philippines -- People who clung to power cables or cowered in concrete buildings as an apocalyptic storm blew through the Philippines may have thought they were lucky to live, but for many, the struggle to survive has only just begun. Those who made it through the terrifying winds, which hurled cars and parts of buildings around as they brought a surge of seawater ashore, each have a story to tell about the day Super Typhoon “Yolanda” (Haiyan) struck. But all now face the slow-motion disaster of life in a lawless wasteland, where food and water are scarce, medicine is in short supply and gunfire rings out. On a road behind Tacloban airport, Nelson Matobato, 34, and his wife Karen, 29, sat at night in a pedicab beside an improvised plywood coffin holding the bodies of their two daughters, aged seven and five. Their two sons, one aged four and the other only three months old, are still missing. "The water came at 7:00 a.m. and our house was submerged instantly," Nelson Matobato said, as a can of floor wax, used as an improvised candle, burned nearby. "By 9:00 am we were already on the rooftop. Then all of us were swept away as the house disintegrated. We could not do anything." His neighbor Dennis Daray also sat by the road, with the body of his sister wrapped in a white sack, one of thousands of people feared to have died in one of the most powerful storms ever recorded. Daray said he was waiting for authorities to start retrieving bodies. "It needs to be collected by the authorities. It's starting to smell," he said. Angeline Conchas and her seven-year-old daughter were trapped on the second floor of their building as floodwaters rose around them. They made their way to safety by clinging on to an electricity cable to get them to a higher building where they sat the flood out. The World Health Organization said a number of the survivors have significant injuries that need attention. Medics say wounds left untreated in the heat and humidity can quickly become infected, leading to severe illnesses or death. The cramped living conditions of those made homeless by last Friday's disaster provide a breeding ground for contagious diseases, while the lack of clean drinking water could give rise to diarrhea -- which can quickly prove fatal if left untreated. But the WHO also cautioned that regular health needs still have to be met, including the 12,000 babies expected to be born this month to the more than 11.3 million people affected. One of those infants came into the world at a makeshift medical center at the battered airport. Bea Joy's first look at life was one of dirty plywood resting amid broken glass, twisted metal, nails and other debris. Her exhausted 21-year-old mother cradled her, a miracle that she never thought she would see when the ocean swept her wooden home away. But with no more antibiotics available, doctors worry that infection could yet bring a tragic end to this small story of hope. Local doctor Corazon Rubio survived last week's typhoon, which killed 10 of her neighbors, but she said it was the aftermath that left her terrified. "They would get TV sets from the houses. Of what use are they? We don't even have electricity," she said. Psychiatrists say some of those pillaging are doing so because of the hopelessness and desperation they feel having lost almost everything. 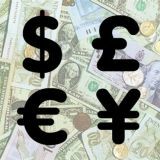 Others may be doing it from economic necessity. The International Labor Organization estimates that three million people have lost their livelihoods. It says nearly half of these are vulnerable workers -- subsistence farmers or fishermen. Tourism, a mainstay of the Philippine economy, will also have been hit by the latest tragedy in a country prone to natural disaster. But for many, worries about jobs are something for another day. More immediate fears have taken precedence. Cecilia Beltran, a 47-year-old mother of three, was queuing outside city hall in Tacloban for a power socket to charge her mobile phone as she told of her family's hourly struggle to subsist. "It's difficult. We beg for food from neighbors because relief aid has not arrived. We only eat once a day," she told AFP. "Our house is gone. We now live in a tent on the street. "We scavenged pots from the debris and washed them. We just picked up our clothes from the street and then laundered them. We have nothing left." Via the Official Gazette of the Republic of the Philippines: Official list of casualties: Typhoon Yolanda. People are often asking for help in finding their friends and families. But until power and telecommunications are restored, it's unlikely that survivors with such information will be able to respond. don't get any help at all!! The people in Tanauan, Tolosa, Dagami, Dulag, Burauen and other smaller towns are freezing at nights and they have nothing to eat! They need help, very urgent!! Cristina Gonzales-Romualdez during a briefing in Makati. MANILA, Philippines--Local officials of the typhoon-devastated Tacloban City said preparations were in place for the coming of the super typhoon, but that the magnitude and strength of Yolanda was overwhelming. "We did everything humanly possible to prepare, yet no one was spared by the typhoon," Leyte Representative Martin Romualdez said in a news conference Monday at a gym in Makati City. 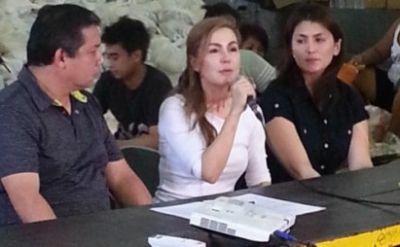 Cristina Gonzales-Romualdez, wife of Tacloban City mayor Alfred Romualdez and a councilor in the city, said she was thankful she did not lose a family member in the disaster, but expressed sympathy for her provincemates who lost theirs. "What we went through in Tacloban, I don't think any city or country could have been prepared for this magnitude of a disaster," she said in a the same news conference. At the height of the typhoon, Gonzales-Romualdez said she and her two children and other members of the household were at the second floor of their two-story home. "The wind was so strong, it blew the roof away, and the water was gushing in, the cars started to float. We have to hang on to what was left of the ceiling. We stayed there for two hours until the water receded," she said. "We were thankful we were alive, but as I sat there, I thought is this a dream, is this a movie? People were coming in wounded and houses were flattened," the former actress said. Both Romualdez and Gonzales-Romualdez said that necessary preparations were in place two or three days before the typhoon came in. They said that people near the coast have moved to evacuation centers, and food packs were ready for them. "We are not strangers to typhoon. We prepare. We evacuate. We do this every year," the Leyte congressman said. He said that President Benigno Aquino III's reported remark that that city seemed unprepared for the calamity "might have been premature and based on inaccurate information." "When he stood at the airport, he can already see how bad was it. It has been a catastrophe and no one can predict this," he said. "Now is not the time to have a blame game. Now is the time to unite and to pick up the pieces. We also have to bury our dead because it is causing health hazard," said Romualdez, who visited Tacloban City over the weekend. Gonzales-Romualdez broke down during the conference when she clarified that her husband was not in hiding at the height of the typhoon. She said her husband was in a resort to inspect the report of the residents that water levels were rising. "My husband was in another place...He almost didn't make it," she said. When the water was gone, she said Mayor Romualdez went to check his constituents. He even operated the bulldozer to clear the way to the airport. "Of course, there were no media there at that time. Are we supposed to pose for souvenir when people are dying because of the disaster. That's not what we're thinking about,there's no politics here," she added. 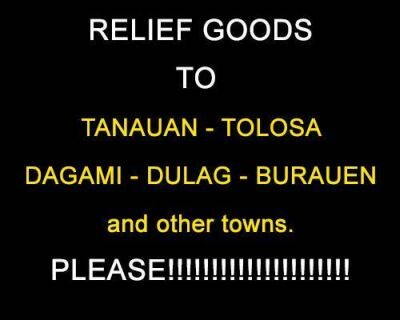 Gonzales-Romualdez also explained that most Tacloban residents did not engage in looting. "In fairness to the Taclobanon, majority of the people are not like that. Many did that because there were no open groceries. They were looking for something to eat, for their families, the bad elements just took advantage of the situation," she said. She added that even Mayor Romualdez did not have anything to wear except his wet clothes. A resident gave him shorts, which they found out was a looted item. On Monday, Romualdez and lawmakers from the independent bloc and several others from the majority bloc formalized the filing of House Resolution 445 urging the President to issue a presidential proclamation delcaring the country in a state of national calamityfollowing typhoon Yolanda's wrath. Romualdez said the national government needed to take the lead role in Tacloban City because there was a "breakdown in the local government." 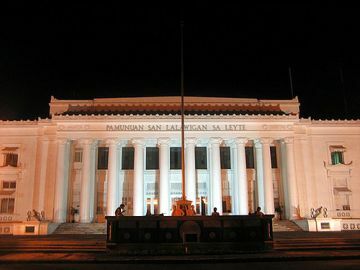 Gonzales-Romualdez added that to date, they could not yet locate other officials of the council. "There's breakdown, and it was no one's fault. 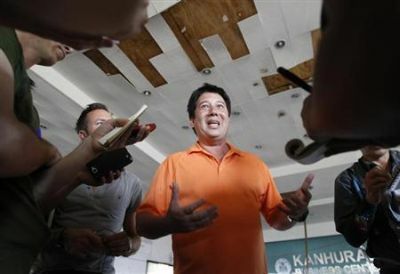 We don't even know where the local officials are," Romualdez said. as far as deaths are concerned". President Benigno Aquino III on Tuesday downgraded earlier estimates of possibly 10,000 deaths due to Typhoon Yolanda (international name Haiyan) to 2,000 or 2,500. Aquino, in an interview with CNN’s Christiane Amanpour, said the 10,000 figure is “too much” and probably made by provincial officials who were “too close” to all the devastation to make an objective estimate. In the interview, Aquino said government agencies still need to reach 29 municipalities more to make an account of their casualties. 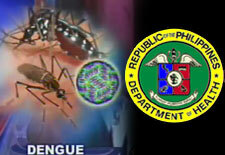 “So far 2,000 to 2,500 is the number we are working on as far as deaths are concerned,” Aquino told Amanpour. The National Disaster Risk Reduction Management Council (NDRMMC) as of 10:00 p.m of Nov. 12, 2013 placed the number of confirmed deaths to 1,798 individuals, 2,582 injured and 82 missing. At least 1.3 million families or 6.9 million people were affected by the killer howler that was considered the strongest typhoon to ever make a landfall in history. Aquino also admitted during the interview that much of the provincial government was paralyzed as members attend to their own families’ safety. He told CNN that the national government had to step in the aftermath of ‘Yolanda’ to continue the delivery of vital government services, especially during a calamity. The USS George Washington aircraft carrier on it's way to the Philippines. Other US Navy ships will also head to the Philippines. TACLOBAN CITY -- The US is sending an aircraft carrier to the Philippines to help speed up relief efforts after a typhoon that killed an estimated 10,000 people in one city alone. It is feared the toll could rise sharply as rescuers reach more devastated towns. The USS George Washington aircraft carrier should arrive in 48 to 72 hours, the Pentagon said, confirming a Reuters report. A statement said crew from the George Washington, which carries about 5,000 sailors and more than 80 aircraft, were being recalled early from shore leave in Hong Kong and the ship was expected to be under way in the coming hours. Other US Navy ships would also head to the Philippines, it said. Filipino officials have been overwhelmed by the scale of Typhoon Haiyan, one of the strongest on record, which tore a path through islands in the central Philippines on Friday. Rescue workers were trying to reach towns and villages on Tuesday that have been cut off, which could reveal the full extent of the loss of life and devastation from the disaster. The arrival of the US carrier and its aircraft will accelerate the distribution of aid and ensure more injured survivors can be evacuated. 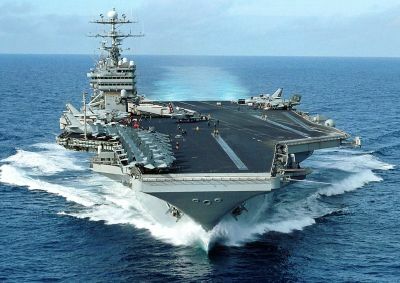 Another US aircraft carrier, the USS Abraham Lincoln, led a massive aid operation off Indonesia’s Aceh province in the wake of the Indian Ocean tsunami in 2004. Britain was also sending a navy warship with equipment to make drinking water from seawater and a military transport aircraft, Prime Minister David Cameron said. Officials in Tacloban, which bore the brunt of the storm, have said the death toll could be 10,000 in their city. There is grave concern for regions outside Tacloban. 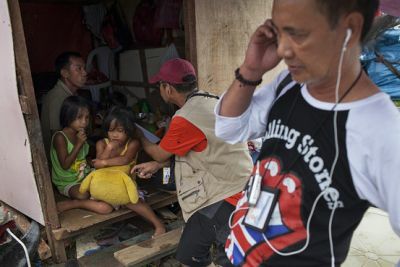 "I think what worries us the most is that there are so many areas where we have no information from, and when we have this silence, it usually means the damage is even worse," Joseph Curry of the US organisation Catholic Relief Services told NBC’s Today programme, speaking from Manila. John Ging, director of operations at the UN Office for the Co-ordination of Humanitarian Affairs, said "many places are strewn with dead bodies" that need to be buried quickly to prevent the outbreak of a public health disaster. "We’re sadly expecting the worst as we get more and more access," Mr Ging told reporters at the UN in New York. President Benigno Aquino declared a state of national calamity and deployed hundreds of soldiers in Tacloban to quell looting. Tacloban’s administration appeared to be in disarray as city and hospital workers focused on saving their own families and securing food. Two Philippines Air Force C 130 cargo planes landed at Tacloban airport early on Tuesday but unloaded more soldiers than relief supplies. Among dozens of troops was a Special Forces unit, underscoring concern about civil disorder in a city where little aid has been distributed. The Special Forces immediately deployed at the airport to hold back angry and desperate families waiting in heavy rain in the hope of boarding the planes returning to Manila. Many had walked for hours from their destroyed homes in the once-vibrant port city of 220,000, carrying meagre possessions. The sick, infants and the elderly were taken on board first. Aid trucks have struggled to enter the corpse-choked city because of the stream of people and vehicles leaving. Reuters journalists travelled into Tacloban on a government aid truck late on Monday which was guarded by soldiers with assault rifles. "It’s risky," said the army’s Lt Jewel Ray Marcia. "People are angry. They are going out of their minds." Residents have told terrifying accounts of being swept away by a wall of water, revealing a city that was hopelessly unprepared for a storm of Haiyan’s power. Most of the damage and deaths were caused by waves that inundated towns, washed ships ashore and swept away villages. International relief efforts have begun to gather pace, with dozens of countries and organisations pledging tens of millions of dollars in aid. Operations have been hampered because roads, airports and bridges were destroyed or covered in wreckage by surging waves and winds of 314km/h. UN aid chief Valerie Amos, who is travelling to the Philippines, released $25m for aid relief on Monday from the UN Central Emergency Response Fund. 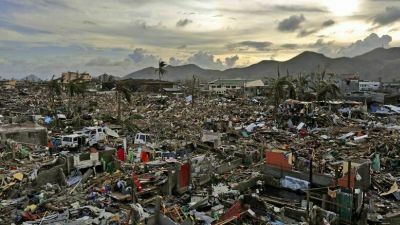 Ms Amos and the Philippines government are due to launch an appeal and action plan on Tuesday to deal with the disaster. Mr Aquino’s declaration of a state of national calamity will allow the government to use state funds for relief and to control prices. He said the government had set aside 18.7-billion pesos ($433m) for rehabilitation. 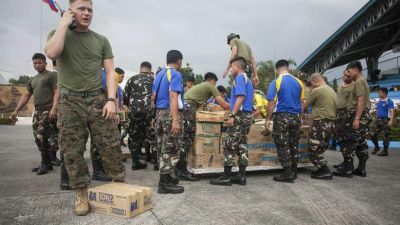 Additional US military forces also arrived in the Philippines on Monday to bolster relief efforts, officials said, with US military cargo planes transporting food, medical supplies and water for victims. Rescuers have yet to reach remote parts of the coast, such as Guiuan, a town in eastern Samar province with a population of 40,000 that was largely destroyed. The typhoon also levelled Basey, a seaside town in Samar province about 10km across a bay from Tacloban in Leyte province. About 2,000 people were missing in Basey, the governor of Samar province said. The damage to the coconut- and rice-growing region was expected to amount to more than 3-billion pesos, Citi Research said in a report, with "massive losses" for private property. Residents cover their nose from the smell of dead bodies in Tacloban City. TACLOBAN CITY -- The scale of destruction visited on the Philippines by “super typhoon” Haiyan started to become clear on Sunday as the winds subsided, with 10,000 people estimated to have died in one city alone, entire villages washed away and hungry survivors looting grocery shops and attacking trucks bringing aid. In the provincial capital, Tacloban, which bore the brunt of the ferocious winds and monster waves whipped up by one of the most powerful storms ever recorded, corpses floated in floodwaters, hung in trees and lay among the debris of flattened buildings. Survivors wept as they retrieved the bodies of loved ones from the ruins of their homes. With emergency teams yet to reach coastal villages cut off by floods and landslides, authorities predicted an even higher death toll. 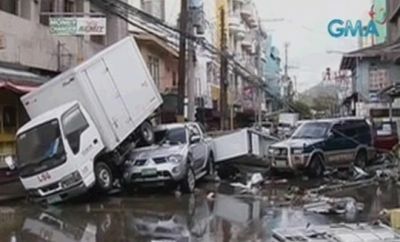 There were grave fears for places such as Guiuan, a town of 40,000 people which was the first to be struck by Haiyan as it roared across the central and southern Philippines on Friday, flinging ships inland and destroying 70 to 80 per cent of buildings in its path. 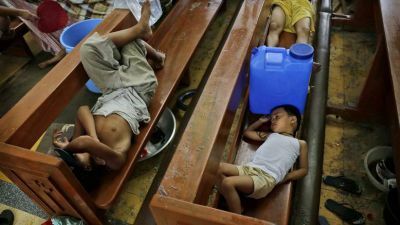 In Tacloban, which had a population of 220,000, “people are walking like zombies looking for food,” said Jenny Chu, a medical student. Mobs attacked trucks bringing in food, tents and water, according to the Philippine Red Cross, and ATM machines were reportedly broken open. Troops and police were sent in to restore order after looters raided shops and petrol stations in search of food, water and fuel. 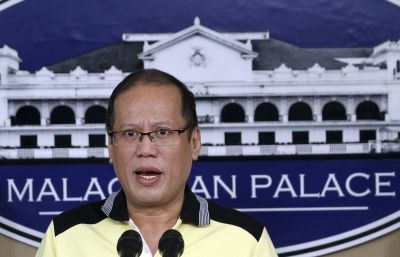 President Benigno Aquino, who visited Tacloban yesterday, said the government was considering introducing martial law. as aid supplies struggle to get through. TACLOBAN CITY -- Tacloban City in Leyte was placed under a state of emergency and a curfew was implemented following looting and other anarchistic behavior in the wake of Typhoon Yolanda, or Haiyan, according to reports. The city was leveled by the storm’s powerful winds and storm surge that was 20 feet high, killing potentially thousands. As a result of the devastation, people began to loot stores, gas stations, and other businesses for food, water, and other necessities. GMA News reported that a curfew from 10 p.m. to 6 a.m. was implemented to prevent more looting. The Philippine National Police and Armed Forces of the Philippines have sent more troops to secure the city. The United States also announced that it would be sending in military help. 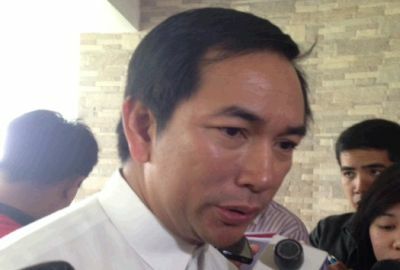 Tacloban city administrator Tecson John Lim added that the looting isn’t confined to just food and water. “There is looting in the malls and large supermarkets. They are taking everything, even appliances like TV sets. These will be traded later on for food,” he said, according to CBS. And Tacloban officials can’t do anything about it, he added. “We don’t have enough manpower. We have 2,000 employees but only about 100 are reporting for work. Everyone is attending to their families,” he said. Elaborating on the gravity of the situation, there were gunshots fired outside of a jail in Tacloban after prisoners tried to escape, reported Rappler. “Considering that most people survived the strongest ever recorded typhoon/hurricane/cyclone in the world, how can they be prepared for that?” he told Interaksyon. Philippine National Police General Alan Purisima said it is not needed to declare martial law in the city. “There’s no need to declare martial law. What they need is food and we should provide what they need. The government is pouring it all in the area,” Purisima said. “We will not support calls for martial law. We have already flooded those areas with our personnel to restore law and order,” he added. Local residents, he added, should clear debris from the road to hasten the delivery of supplies. TACLOBAN CITY -- The local government of Tacloban has asked President Benigno Aquino III to already declare martial law in the area following reports of looting in the aftermath of super typhoon Yolanda. Vice Mayor Jerry Yaokasin told the President during a provincial disaster council meeting in Tacloban that residents of nearby municipalities are already entering the city to loot from commercial establishments. He also told Aquino that employees of the local government could not report back to work because they themselves are victims of the typhoon and the consequent storm surges. Aquino said he will look into the matter for as long as there is a city council resolution as anchored on Republic Act 10121. Earlier, deputy presidential spokesperson Abigail Valte said Philippine National Police Director General Alan Purisima has left for Tacloban onboard a C-130. “Nakalapag na po sila ng Tacloban para makatulong po doon sa pag-restore ng peace and order in some parts of Tacloban,” she said, adding that the Special Action Force will lead in the law implementation there. A short clip was taken of the looting at Gaisano mall in Tacloban City after the onslaught of super typhoon Yolanda as hundreds took advantage of the breakdown in law and order out of despair. In an interview with ANC on Sunday, Southern Leyte Rep. Roger Mercado said he has also received reports that people have resorted to looting automated teller machines (ATMs). TACLOBAN CITY – The looting of Gaisano mall in Tacloban City was allegedly captured by one of the field cameramen of ABS-CBN news. The two minutes and five (5) seconds video shows typhoon victims stealing goods from the stores inside the mall. In the video clip, Ted Failon described the details of the mall robbery. The typhoon victims took different electrical equipments such us refrigerators and electric fan. A typhoon victim was also seen bringing out a bicycle from the mall. They were literally shopping for free. 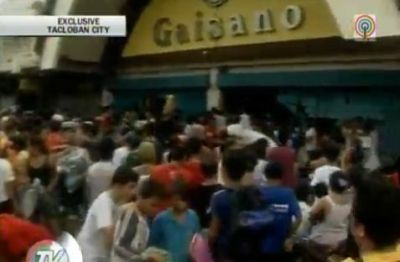 The veteran news anchor feared a stampede that might happen due to hundreds of people who flocked to Gaisano mall. He also added that authorities in Tacloban are also victims of the recent calamity and it caused breakdown in law and order in the area. Gaisano mall is located in the outskirts of Tacloban city and it won't be easy for authorities to respond to the robbery incident. Nov 10 (Reuters) - One of the most powerful storms recorded killed at least 10,000 people in the central Philippines, a senior police official said on Sunday, with huge waves sweeping away entire coastal villages and devastating the region's main city. Super typhoon Haiyan destroyed about 70 to 80 percent of the area in its path as it tore through Leyte province on Friday, said chief superintendent Elmer Soria, a regional police director. 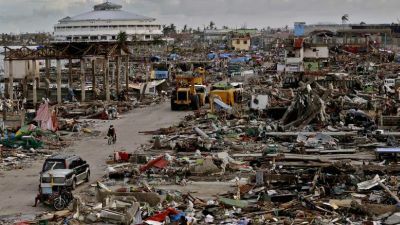 Most of the deaths appear to have been caused by surging sea water strewn with debris that many described as similar to a tsunami, levelling houses and drowning hundreds of people in one of the worst natural disasters to hit the typhoon-prone Southeast Asian nation. The national government and disaster agency have not confirmed the latest estimate of deaths, a sharp increase from initial estimates on Saturday of at least 1,000 killed. The city and nearby villages as far as one kilometre from shore were flooded by the storm surge, leaving floating bodies and roads choked with debris from fallen trees, tangled power lines and flattened homes. TV footage showed children clinging to rooftops for their lives. Many internet users urged prayers for survivors in the largely Roman Catholic nation on social media sites such as Twitter. "From a helicopter, you can see the extent of devastation. From the shore and moving a kilometre inland, there are no structures standing. It was like a tsunami," said Interior Secretary Manuel Roxas, who had been in Tacloban since before the typhoon struck the city. Mila Ward, an Australian citizen and Filipino by birth who was was in Leyte on vacation visiting her family, said she saw hundreds of bodies on the streets. "They were covered with blankets, plastic. There were children and women," she said). The World Food Programme said it was airlifting 40 tonnes of high energy biscuits, enough to feed 120,000 people for a day, as well as emergency supplies and telecommunications equipment. Airport manager Efren Nagrama, 47, said water levels rose up to four metres (13 feet). TACLOBAN CITY – The new leadership of Tacloban City Police District was commended by city Vice Mayor Jerry Yaokasin. In an interview, Yaokasin commended PSSupt. Domingo Cabillan for his efforts in curbing criminalities in the city. One of the first efforts he saw, according to Yaoksain, was the presence of policemen in every corner of the streets in the downtown and market areas. He was informed, according to Yaokasin, that businessmen in the market area are happy with the way things are going with Cabillan as the new city police director. Another development was the creation of a police outpost of the building that used to be a model house of Gawad Kalinga that was able to get positive reaction from the businessmen because it was near the center of the public market and it became a deterrent of criminalities in the area. It was learned from the vice mayor that Cabillan recalled his policemen because quite a number of them were assigned to VIPs here in the city then assigned them to the field. It can be recalled that the Tacloban PNP was believed to be lacking in personnel thus not doing a satisfactory performance. Another positive development was the resumption of fuel allocation from the city government of Tacloban which allows them to patrol the city, said Yaokasin. The city vice mayor is particularly happy that there is a good relationship between Mayor Alfred Romualdez and Cabillan, aside from the fact that the new city director is a Taclobanon who grew up and studied here in the city and who knows the terrain of Tacloban. 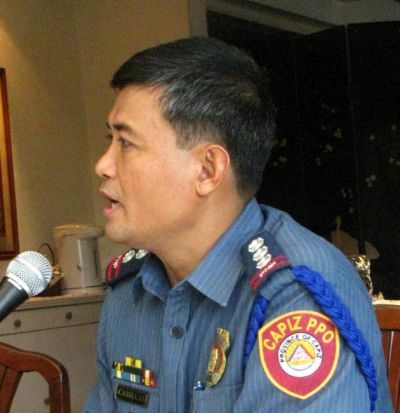 It was also learned that in the coming weeks, the city police director will be removed from his designation as officer in charge for he will be a permanent city director of the Tacloban City Police office. The vice mayor considered this as a good development for Tacloban as a whole. PALO, Leyte – The Oriental Leyte, is set to complete next month the full development of hotel complex in time for the celebration of Leyte Gulf Landing celebration, a hotel official said. Anito Lanticse, the hotel’s resident manager said property developer LKY Hotels and Resorts said construction of 31-room building will be completed before October 20. Earlier, LKY announced that they have allotted P200 million investments in addition to the P300 million capital committed to the provincial government. “The target is to complete building additional rooms by next month. We are just finishing the interior design. After that, we will put up aqua sports facilities,” Lanticse said. LKY held the soft opening of the 110-room hotel early last year. Other facilities under the first phase of development are the function rooms, restaurants, infinity pool, gym and spa. Lanticse said that with the completion of second phase of development, the total rooms will be 141. “Leyte’s market is very good. Our average monthly occupancy rate is about 60% to 70%, which is good because it’s above 50%,” he added. The hotel targets foreign and domestic tourists as well as participants of conventions and other big events. The entire property, including General MacArthur Memorial Park, which the hotel maintains, covers 10 hectares with a 500-meter beachfront. It is located in Barangay Baras of this town. LKY Group of Companies with LKY Resorts and Hotels as subsidiary embarks in a hotel business with “The Oriental” brand. 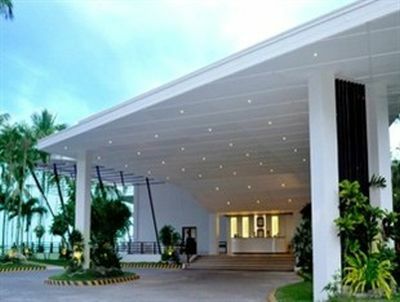 Its first hotel has opened this month in Legazpi City in Albay. The firm is targeting to open more hotels in the Visayas and Southern Luzon areas. The hotel will be owned by LKY for 25 years under the built-operate transfer scheme. The provincial government, which is the former owner of the property, awarded in 2009 the contract to the winning developer.